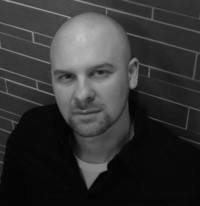 JZ Foster is an Urban Fantasy / Horror writer originally from Ohio. He spent several years in South Korea where he met and married his wife and together they opened an English school. Now a first time father, he’s returned to the states - and his hometown roots. He received the writing bug from his mother, NYTimes best selling author, Lori Foster. To ask J.Z. Foster questions, please sign up. J.Z. Foster The whispers in my head have commanded me to write 'Witch Hunter: Gods and Monsters'. A sequel for everyone's favorite hunter, Richard Fitcher. J.Z. Foster I use metal music to fuel my soul. After the buzz, you simply let your mind off the leash and see in which direction it runs. Hey there peeps! It’s that time of the year that we all love, and you know your dude J.Z. has some great reads stacked up for you! So sit back and take a look at J.Z.’s recommended TALES TO TERRORIZE for this Halloween Season! Try a few of these books for free with Audible by clicking this button! "This was a great comic series and story. The story and art were fabulous. Can’t wait for the Netflix series and book 2!" Mark Millar is by far the most amazing and influential writer to me, despite the fact that I write novels and he writes comic books. I often find books / movies predictable, even the ones with a twist, but Millar had me guessing through this enti Wow! I often find books / movies predictable, even the ones with a twist, but Millar had me guessing through this entire story. Millar's greatest talent is creating characters that are relatable and feel *real*. I was sympathetic to each of them, and despite having just a short time with a few of them, none of them felt like cardboard cut outs. We’d love your help. Let us know what’s wrong with this preview of The Cleaner by Mark Dawson. We’d love your help. Let us know what’s wrong with this preview of Witch Hunter by J.Z. Foster. "I got this as an ARC for an honest review. This is the 2nd book in a great series that has a perfect combination of humor, horror and urban fantasy. This continues where the first book left off. "Fantastic debut novella from RJ Roles! I was blindsided more than once while reading this. I was still thinking about this haunting tale for many days after finishing it. Definitely recommend and I hope to see more by RJ Roles very soon!" We’d love your help. Let us know what’s wrong with this preview of Girl's Best Friend by RJ Roles. "Unsettling, harrowing, and original. Roles takes you on quite the psychological roller coaster in this gripping thriller. And the ending had my jaw on the floor. Highly recommended!!" RJ does remarkably well for a debuting author, and offers a unique tale that is more than what it seems. A surprising amount of mystery and intrigue play out in this psychological thriller, and it leaves me thinking that RJ Roles must have quite the RJ does remarkably well for a debuting author, and offers a unique tale that is more than what it seems. A surprising amount of mystery and intrigue play out in this psychological thriller, and it leaves me thinking that RJ Roles must have quite the demented mind to play such games with us. I thoroughly enjoyed it, and look forward to more works from the author. I'm sure he's going to be a main stay.